Hello darlings! I don’t know about you, but I have been reading up a STORM. And most of the books I’ve read lately have been really, incredibly good. Now, I haven’t had time to write full reviews of everything I’ve read in the last few months, so I’d like to share a few mini book reviews! In the future, thousands of Americans have lost the ability to sleep, and the crisis grows into an epidemic. The Slumber Corps is founded to combat the illness by accepting sleep donations from healthy dreamers. These sleep donations work much the same as blood transfusions, and even an hour of healthy sleep can save an insomniac from death; a full eight hours can cure him/her. Our protagonist, Trish, whose sister was one of the first to die from insomnia, works as a recruiter for the Slumber Corps. Although she is one of the Corps’ most effective recruiters, her faith in the organization is shaken when the first universal donor is discovered in “Baby A.” Despite Baby A’s parents’ hesitation, the Corps is intent on continually mining the baby for her perfect sleep, regardless of her best interests. Although the premise of this novella is classic Russell, it wasn’t one of my favorite stories of her’s, although I couldn’t quite put my finger on why. This wonderful little novel is the fragmented musings of a woman as she goes through her marriage, dealing with everything from a colicky baby to bedbugs to infidelity. It’s a difficult book to describe because it doesn’t really have a plot; it’s more a series of lyrical, beautiful vignettes about marriage and motherhood, with all of their ups and downs. The format of this novel is unusual, but it makes this book really special. It can easily be read in one sitting, but it has stuck with me since I read it two months ago. It’s starkly, sparsely, achingly beautiful. I’ve had two Sedaris books sitting on my bookshelf for about two years, picked up at a library sale and a used bookstore, and I figured it was finally time to read one and see what all the fuss is about! This collection of personal essays reads almost like a memoir, as Sedaris describes his childhood in North Carolina, where he had to undergo speech therapy for his lisp (instead of fixing his impediment, he just stopped saying words with the letter “s” in them), his years doing drugs and trying to be a performance artist (without any talent to back him up), and the time he spent living with his boyfriend in Paris (where he tried to learn butchered French at a language school). I know a lot of people really love Sedaris, but I didn’t really think this book was all that special. It was a fun, quick read, but the essays are a bit formulaic, and this isn’t a book that’s going to stick with me. I read some pretty awesome books that were published this year (list to come once I finish The Goldfinch — ha! ), but I also read a lot of fantastic backlist books, too. I love dipping into older titles, whether they’re classics that I want to read as part of my literary self-education or more recent books that people are still talking about years after their publication. It’s actually one of my resolutions for 2014 to accept fewer books for review and take more time to read older titles; they’re really piling up on my bookshelf! It’s no secret that I’m a big fan of Karen Russell. I freaked the F out over Swamplandia! last spring, and I fell in love with Russell’s charming debut short story collection St. Lucy’s Home for Girls Raised by Wolves a few weeks ago. 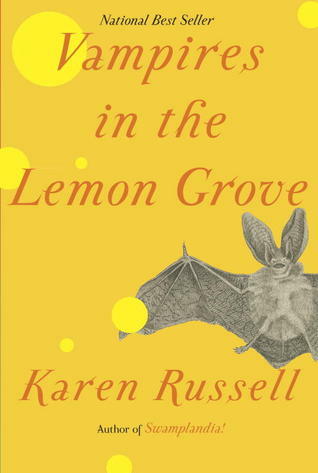 In Vampires in the Lemon Grove, her brand new release, Russell amps up the weirdness, and it is delightful. 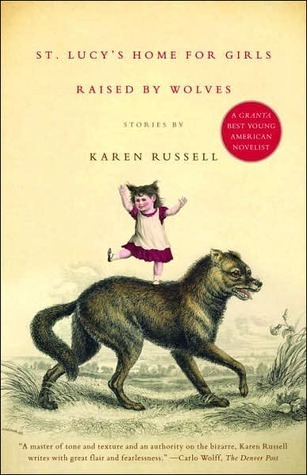 Karen Russell’s debut is a stunning, imaginative collection of ten short stories, including the piece that grew to become Swamplandia!, a finalist for the 2011 Pulitzer Prize. Karen Russell’s debut novel welcomes the reader to Swamplandia!, the premier gator-themed amusement park in the Florida Everglades, where tourists flock from around the world to watch alligator wrestling and to witness Hilola Bigtree’s famous “Swimming with the Seths” routine (all of the alligators are named Seth).